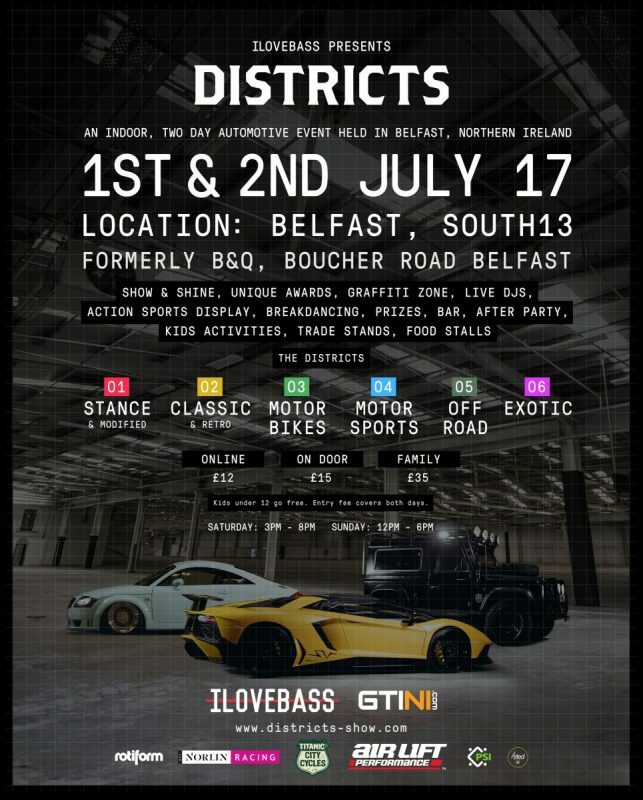 Districts is a totally new car show coming to the old B&Q site on Boucher Road in Belfast this year. It promises to be both one of the largest static motoring events in Ireland this year, showcasing some of the best local and national cars, from stanced to classic. I met with Adam McPeake and James Preston of I Love Bass, the team behind this new Districts show to find out what we can expect on 1st July. 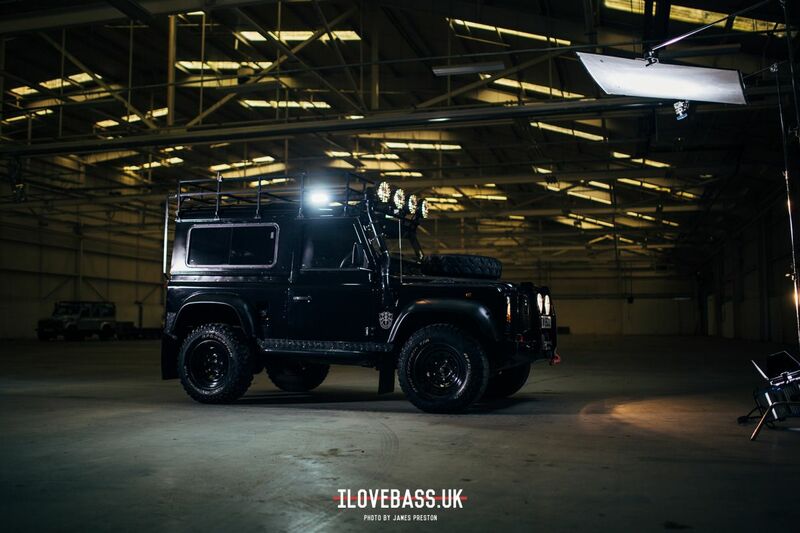 Firstly, if you mention I Love Bass (ILB) to anyone in the UK and Ireland who is remotely into cars, they will know straightaway that you aren’t interested in anything to do with bass. 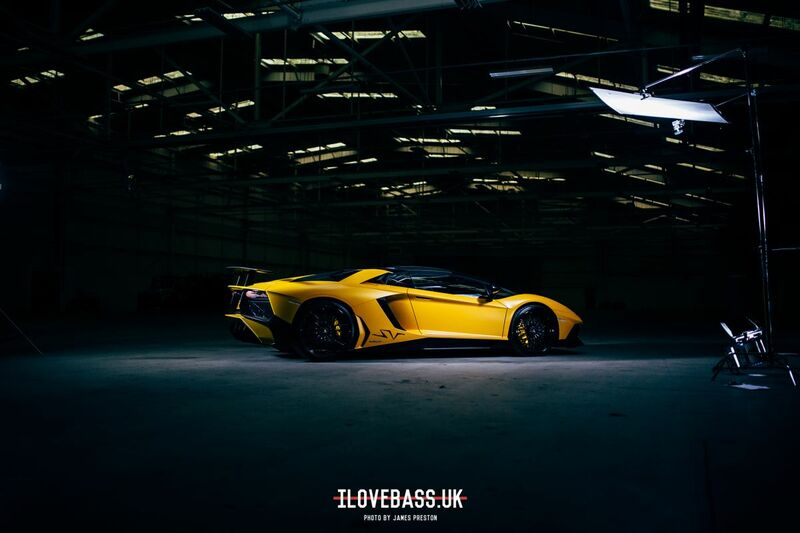 The guys at ILB have evolved into an internet phenomenon, pushing out innovative coverage of jaw-droppingly cool cars at Europe’s biggest shows. 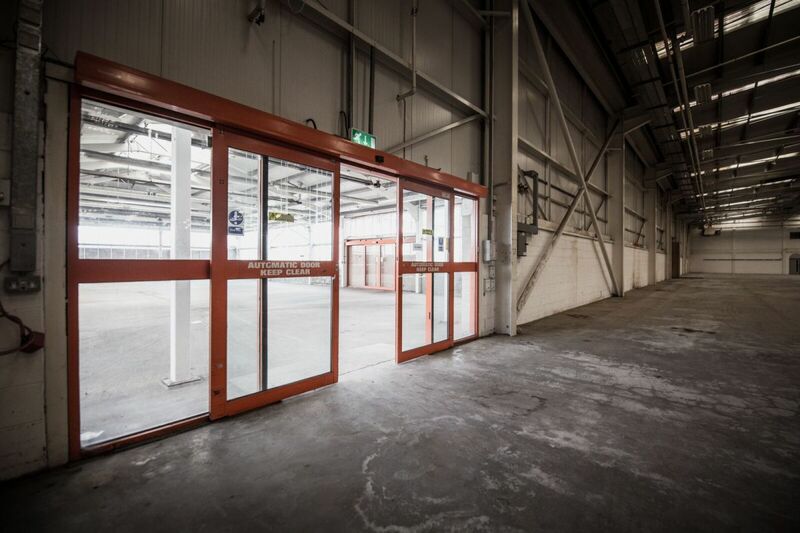 So when ILB announce they are hosting a new type of car show in a former B&Q warehouse, you know it will be something special. ILB: “We have spent a lot of time attending and covering other shows across the world, events like H20i in the US, Raceism in Poland, Eurotripper and of course Dubshed at home, and we had all these cool ideas in our head as to what would make an awesome show back home. Adam pulls me up a floor plan for the event, showing the layout with groups of similar cars parked together in Districts, hence the show name. The Districts are wide ranging from Stance to Classics, Supercars to Off Roaders. ILB: “We wanted to bring something for everyone to the event, and this started with making sure we had a wide range of quality stuff coming and we don’t just mean epic wheels or perfect paint work. Cool and unusual stuff that has a story to tell. Its as much for the car owners to enjoy the show as well, and we’ve put a lot of work into turning the old B&Q into a really different car show environment. T13 were awesome and basically let us do what we wanted. Graffitti the floor? Sure no problem. Crazy stuff like that! Adam flicks through some of the online entries and I have to agree; the variety of cars and level of interest is unreal. ILB: “We were inundated with emails before we opened entries. In the first few hours we had well over 100 cars entered. We’ve already over double the total show capacity entered now, and still a week to go before entries close it’s tough deciding what can and can’t make it in. What it does mean though that there’s a lot of stuff people haven’t seen before. It’s clear that ILB are driven by a desire to push boundaries and do something that’s a little different from the norm. This is the reason why Districts excites. A new show, a fresh attitude, but also an intrinsic desire to unite all genres of automotive enthusiasts under one roof. Districts opens its doors at South13 on the Boucher Road on Saturday 1st July 2017 at 3pm, runs to Sunday 6pm and tickets are priced from £12 (buy here). For further information and to enter your own car see ilovebass.co.uk/districts.